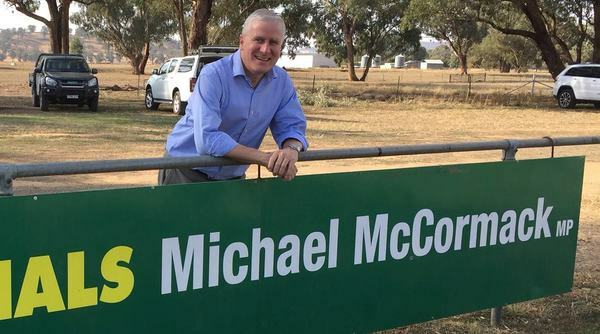 Deputy Prime Minister and Nationals leader Michael McCormack will tour the site of the proposed Emu Swamp Dam near Stanthorpe this Wednesday 30 January with local federal Maranoa MP and Minister for Agriculture and Water Resources David Littleproud. Mr McCormack will also meet with Granite Belt producers to hear about what the new dam would mean for water security and agriculture. Mr Littleproud last week gave the strongest indication yet that the Federal Government is close to coming on board with funding for the dam, but said it could not proceed without the support of Queensland’s Palaszczuk Government, saying the state “owns the (water) resource”. He told the Free Times the Federal Government is prepared to put $42 million on the table, alongside just under $24 million already committed by Granite Belt producers. With the latest estimated cost of the dam at around $84 million Mr Littleproud said he would welcome Queensland Government funding to help make up the shortfall, which could also be met with a loan from the Federal Government’s Regional Investment Corporation (RIC). Mr Littleproud said he had been having “very constructive” discussions in recent times with Queensland’s Minister for Natural Resources, Mines and Energy Dr Anthony Lynham over Emu Swamp Dam and said the overall case for the project was the “most advanced” it had ever been. He also reiterated that funding would not need to be sought from the Southern Downs Regional Council. In a statement, Mr McCormack – who is also the Minister for Infrastructure, Transport and Regional Development – said the Federal Government had “recently put an additional $500 million in water infrastructure funding on the table to encourage States and Territories to partner with us in building dams”. “I’m looking forward to seeing firsthand the potential for Emu Swamp Dam to deliver greater water security for the region and grow the local economy,” the Deputy PM said. A spokesman for Mr Lynham told the Free Times the minister is currently on leave but that the Department of Natural Resources, Mines and Energy “has been working closely with the proponent to finalise the detailed business case”. The ‘proponent’ is Emu Swamp Dam Pty Ltd, a company established by the Stanthorpe and Granite Belt Chamber of Commerce which has spearheaded the latest push for the dam.